This month marks the 50th anniversary of the galley exhibition Works in Black and White, a key moment in the Black Arts Movement of the tumultuous 1960s. 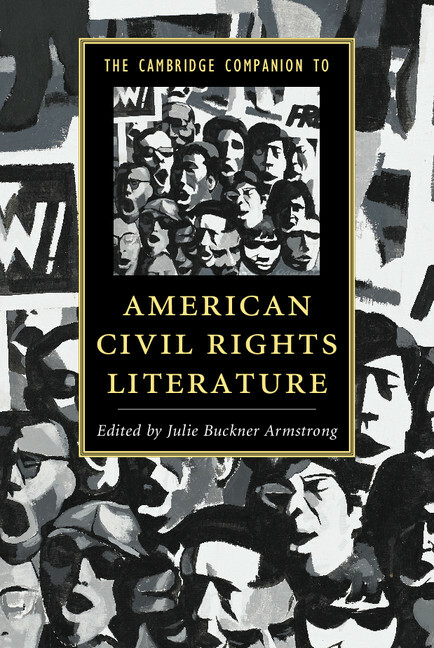 Julie Buckner Armstrong, the editor of The Cambridge Companion to American Civil Rights Literature, explores the role of art and literature in the fight for civil rights and the transformative power of language. In June, 1965 – fifty years ago this month – the arts collective Spiral finished out its first and only exhibition, Works in Black and White, at the Greenwich Village gallery where it had met for nearly two years. Spiral formed shortly before the 1963 March on Washington as a vehicle for Romare Bearden, Charles Alston, Norman Lewis, Hale Woodruff, and other artists to serve the civil rights movement. Named after the Archimedean spiral that moves outward and upward, the group was a short-lived but significant example of 1960s creative energy channeled toward positive social action. During the Black Arts Movement especially, collectives of artists, writers, and performers organized under the belief that the arts should inspire change. From the creator, through the work, to the audience, and into the community (outward and upward) movement would flow. One selection from the Spiral exhibit, Reginald Gammon’s Freedom Now (1965) serves as the cover image for the Cambridge Companion to American Civil Rights Literature. Based upon crowd scenes from the 1963 March, which Gammon attended with other Spiral members, the painting sets up one of the book’s key themes. Freedom Now’s open mouths and protest signs point to words as action. Audre Lorde’s 1977 essay “The Transformation of Silence into Language and Action” expresses the idea best. Facing a possible cancer diagnosis and, thus, her mortality, Lorde realized, “I was going to die, if not sooner then later, whether or not I had ever spoken myself. My silences had not protected me. Your silence will not protect you.” The opposite of silence – speaking her truth, speaking up, speaking out – became Lorde’s way of countering invisibility, fear, alienation, and powerlessness. Language provided her, in the face of death, a profound articulation of life. The civil rights tradition of which Lorde so eloquently speaks also continues to live. 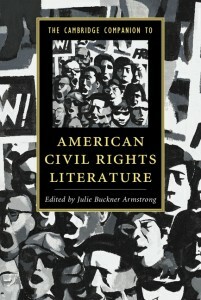 Contributors to the Cambridge Companion to American Civil Rights Literature examine a broad spectrum of poetry, fiction, drama, and related cultural productions from abolition to the New Jim Crow. As the book moved into its final stages – paralleling widespread outcry over the 2014 deaths of Michael Brown in Ferguson, Missouri and Eric Garner in Staten Island, New York – its original vision became brutally clear. Literary responses to civil rights have deep roots in nineteenth-century protest traditions, but they adapt to changing media and, by necessity, to continuing struggles. Lila Quintero Weaver’s graphic narrative Darkroom: A Memoir in Black and White (2012) reminds readers how far we have come from the 1965 Selma-to-Montgomery Voting Rights March and also how close we remain to the systematic violence that took Jimmie Lee Jackson’s life in Marion, Alabama just prior to that event. Two months after Selma, on May 14, Spiral’s exhibit went up. Fifty years after Selma, as the Cambridge Companion to American Civil Rights Literature circulated to libraries and book vendors, #blacklivesmatter spiraled outward and upward from hashtag to movement. The chanting marchers of Gammon’s painting blur these lines between past and present, and so does the protest sign that the Companion’s cover clips off in the upper left. The volume thus invites readers into the transformation of silence into language and action. Let words conjure freedom, now.